Ross County have bolstered their squad with the signings of midfielders Ruben Palazuelos and Raffaele De Vita. 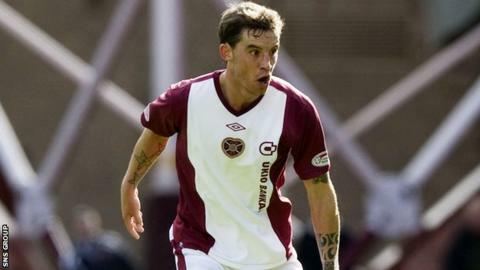 The new recruits are familiar with Scotland, with Palazuelos spending four years at Hearts and De Vita having been with Livingston for three seasons. Both men moved on in 2011, with De Vita scoring 11 goals during his final season in West Lothian. Spaniard Palazuelos, 31, was last with Ermis in Cyprus, while Italian De Vita, 27, left Cheltenham in December. "Ruben has match experience in the SPL with Hearts and can play in a couple of different positions," said Staggies manager Jim McIntyre. "Rafa has played for teams in Scotland and England, he's a versatile player. Both players will be valuable members of the squad over the coming months."